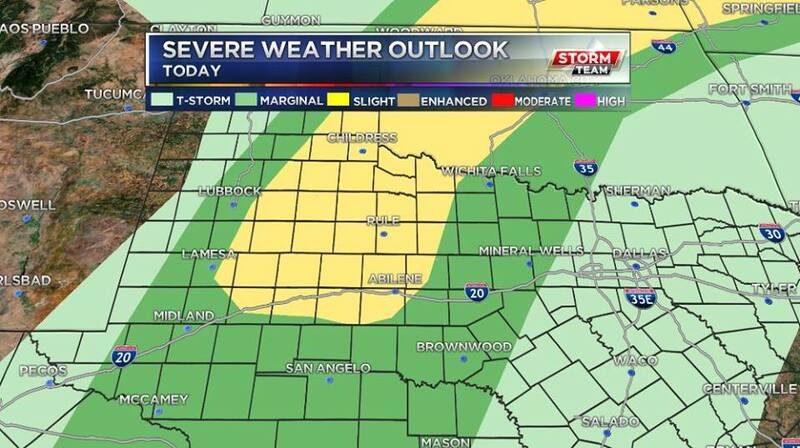 Abilene now included in the Slight Risk (2/5) for this evening. A line of storms will move across the region tonight, which will bring a chance for strong to severe storms. Damaging winds and hail will be the main hazards heading into the overnight. There is a chance for severe weather across the Big Country heading into the evening and overnight.